As chairman of the Division of Oral and Maxillofacial Surgery in the Surgery Department at the University of Texas Southwestern Medical Center, I worked on many projects with Southwest Medical & Dental. Since I was familiar with their work, when I decided to start a private practice, I turned to them for help in setting up a surgical suite. 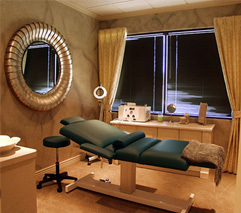 With their help and expertise, we designed and outfitted a wonderful facility and opened for business in June 2007. I cannot be happier with the outcome of this project. As a professor at Louisiana State University, I have known about Southwest Medical & Dental for quite some time. I know them for the first-rate surgical facilities they design, and for their strict adherence to state and local building codes. I am now setting up my own office and contacted Southwest Medical & Dental to design and outfit it. We are nearly finished with construction, based on their quality design. They have done a great job of overseeing the project. For anyone planning an oral surgeon’s office, or any medical or dental facility, I have no hesitation in recommending Southwest Medical & Dental. I am currently preparing to open my second facility, and have again chosen to work with Southwest Medical & Dental. In 1999, I contacted them while a resident at University of Texas Southwestern Medical Center, and they helped me design a facility, oversee construction, and install all the clinical equipment. When it came time to plan a new facility, in a free-standing building, again I turned to Southwest Medical & Dental. They are currently helping us with the design phase, and will be closely involved throughout the entire project, including equipment procurement and installation. When I needed help designing an operating room suite in 2005, I turned to Southwest Medical & Dental. We couldn’t have done this project without their help. I was first introduced to them in my last year of residency in Kansas City, when I was told they had the know-how for the kind of OR project I needed. Southwest Medical & Dental helped us through the design phase, and then during construction they made sure that everything fit into place properly. Not only did they provide most of the clinical equipment for the facility, they installed it in record time and to our full satisfaction. I am extremely grateful I was introduced to them. I have done two successful projects with Southwest Medical & Dental. In 2002, they set up my first office, in Johnston, Iowa. Then in 2004, when I decided to open a second office in West Des Moines, I thought I’d work with a local dental supply company. But during the design process, I realized this company simply did not understand what an oral surgery practice requires. I contacted Southwest Medical & Dental and they swung into action, changing the office design to better suit our needs. This experience showed me that there really are very few companies that understand the oral surgery business the way Southwest Medical & Dental does. In 2000, we asked Southwest Medical & Dental to help us set up an accredited ambulatory surgical center. They worked with us from the design phase through the opening of the center, and I can say that it was incredibly helpful to have someone with their expertise oversee the highly technical aspects of construction. They provided well-priced clinical equipment for the center, and since they have access to medical as well as dental equipment, we had the convenience of dealing with one vendor only. In 2004, when I decided to open a second office in Littleton, Colorado, I called on Southwest Medical & Dental again. This was a much smaller project, but their professionalism was evident throughout the project.